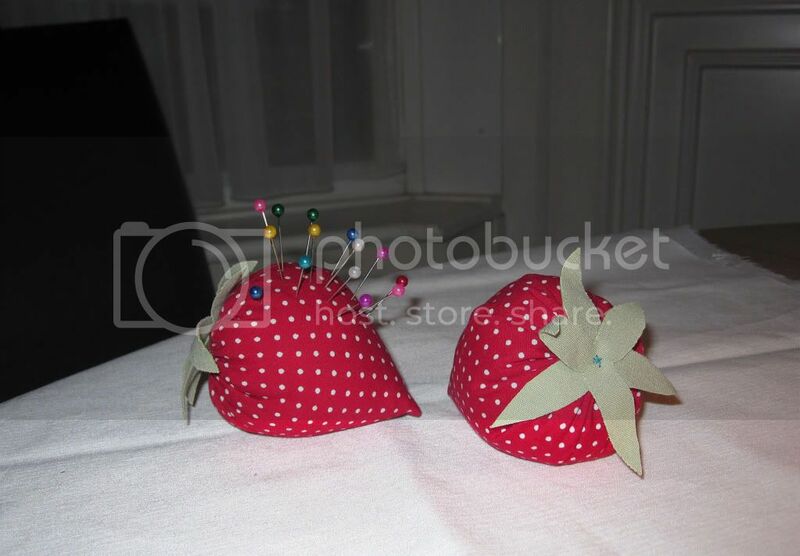 I'd rather have a strawberry tart, but failing that, how about a strawberry pin cushion or two? This is a very easy project using just fabric scraps. Sewing has made me look at unloved clothes with a new eye, can I do something with that fabric? The red material is from a blouse destined for the charity shop and the green is left over from the grocery bag project. The strawberries are basically a circle of material cut in half hence a pair (I drew round a side plate), sewn down the straight edge to make an ice-cream cone shape. 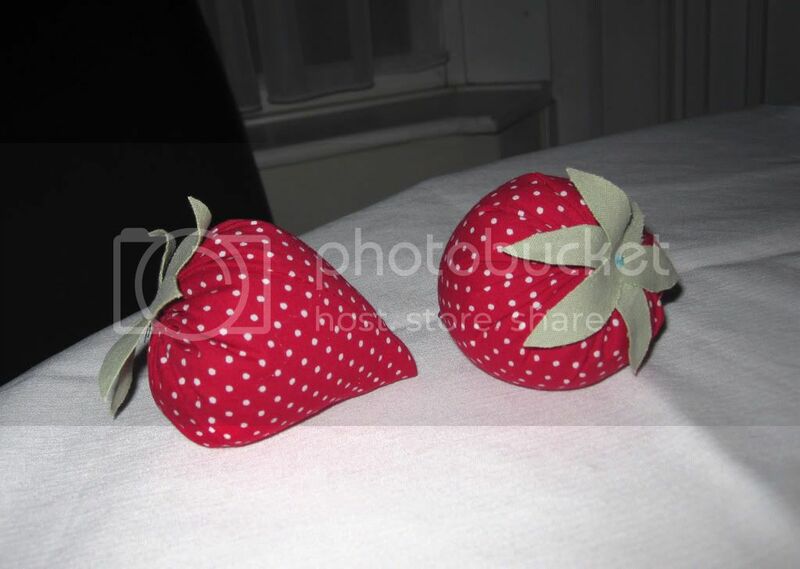 Stuff the strawberries with poly wadding, and gather the top edge with a long running stitch. The green leaves on top hide all the gathering. Do they count as one of my five-a-day? so adorable! do you sell them? Awesome strawberries Bridgit! Hope to see more of this sort of thing.